Music games are great fun, so it's only natural that folks want to play them on the go. Previous efforts haven't exactly been strong in the co-op aspect, either implementing it poorly (Guitar Hero: On Tour) or eliminating it entirely (Rock Band Unplugged). 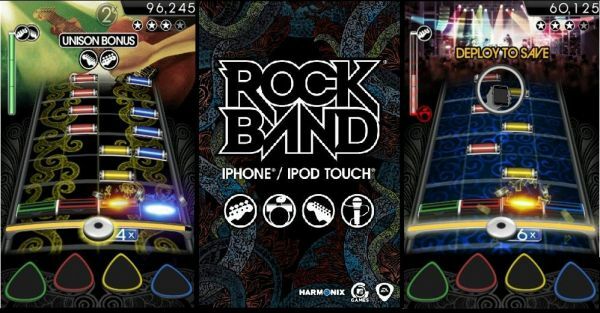 That trend looks to change with Rock Band for iPhone and iPod Touch. · Joan Jett - "Hymn 43"